When is an Excluded Individual or Entity Problematic? According to federal law, the OIG is legally permitted to enforce CMP (Civil Monetary Penalties) upon any individual or entity which breaches their regulations. Regulations governing the practice and employment of excluded parties are particularly weighty in the eyes of the OIG and carry some of the most significant penalties as a result. In fact, organizations that employ or otherwise work with excluded parties subject themselves to fines between $10,000 and $25,000 for each item within a violation. As a major violation of OIG regulation that can cause significant financial loss to all parties involved, it is important to understand the situations in which excluded individuals or entities will subject an organization to the OIG fines and which will not. Obviously, any excluded individual or entity (that is, anyone listed on the OIG exclusion list) that furnishes direct items or services to a federal healthcare beneficiary will force an employer to incur penalties under the OIG federal regulations. This includes anyone who provides supplies, lab services, or other medical services such as doctors, nurses, and other healthcare services to any federal healthcare program beneficiary. Most providers understand this clearly and are on the lookout to ensure these individuals/entities are not in their employment. And anyone else who is involved in the selling, delivery, or restocking of medical equipment, including medical devices that will be claimed for reimbursement under federal healthcare programs could make an organization liable to CMPs. Additionally, the full restrictions of the OIG law apply to an excluded individual or entity who works directly or indirectly for an organization under contractual agreement that is paid directly by a federal healthcare program. Again, it is irrelevant if the excluded party is rendering actual medical and first-hand patient care or simply working in an administrative or office position such as updating records, secretarial duties, or stocking supplies. 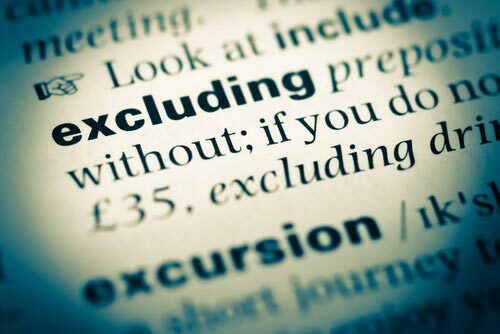 When is Exclusion Employment Allowed? Believe it or not, there are scenarios when excluded individuals are not problematic. The most basic situation would be if the patient is not a federal healthcare beneficiary. In such a case, an excluded individual would be able to provide services to the patient since the provider would not be compensated with federal dollars. Surprisingly, an excluded individual may refer a provider or service to a federal healthcare beneficiary as long as the excluded individual does not service the patient or prescribe any prescriptions. There are cases when the OIG actually gives complete waivers to excluded individuals or entities for special circumstances. A complete list of those receiving waivers can be seen here oig.hhs.gov/exclusions/waivers.asp. It is important to have proper screening procedures in place for all employees. This will also help an employer in the event that they inadvertently employed as an excluded party.